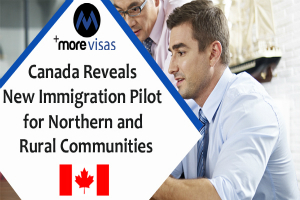 The Canadian Government has revealed a current 05-year economic immigration pilot that will benefit northern and rural communities in Western Canada, Ontario, and Canada’s 03 territories bring and employ skilled foreign workers. Immigration, Refugees and Citizenship Canada say available communities can be either a city with a 50,000 population or less located minimum 75 km from the metropolitan core area of 100,000 or more or a town of up to 200,000 individuals that qualify as remote. Like the Atlantic Immigration Pilot (A.I.P.P), the current Northern and Rural Pilot will operate beside Canada’s PNP. The employer-driven A.I.P.P runs with businesses in the Canadian Atlantic provinces of New Brunswick, Nova Scotia, Newfoundland and Labrador, and Prince Edward Island to hire international workers for jobs they are unable to fill locally. In 2018, the A.I.P.P admitted the 04 participating provinces to endorse up 2,500 international workers and global students for Canada PR. I.R.C.C did not define a quota for the current pilot. By creating an immigration pilot focused at northern and rural communities, we’re seeing to assure that the immigration benefits are shared over the country, Canadian Immigration, Refugees and Citizenship Minister, Ahmed Hussen, declared at the launch of the latest pilot on Jan 24, 2019. Canadian Minister of Rural Economic Development, Bernadette Jordan, announced the pilot’s community-driven strategy is essential. The Pilot will assist the economic growth of smaller communities by examining new, community-driven strategies to address their diverse labor market requirements.